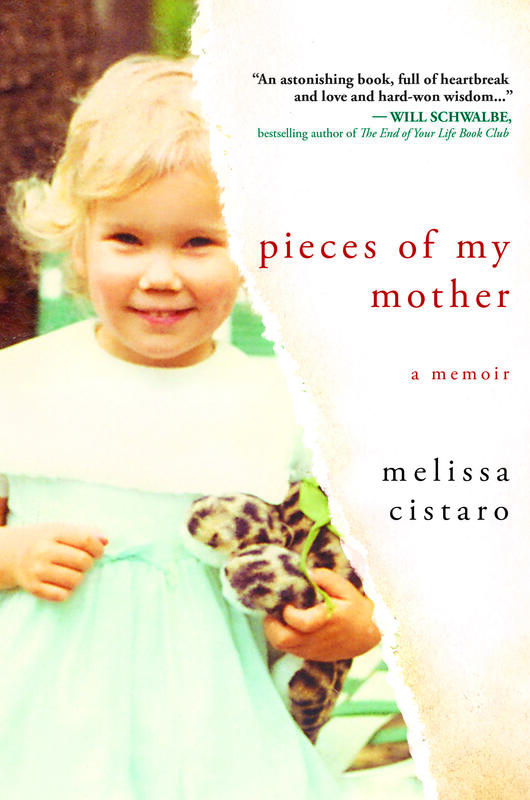 Melissa Cistaro is the author of PIECES OF MY MOTHER, a memoir of her childhood spent waiting for the mother who walked away, her own struggles with motherhood, and her search for understanding as her mother lies dying. Her essays, interviews, and work have appeared in The New Ohio Review, Brevity, The Huffington Post, Bookish, Good Housekeeping and the anthologies LOVE & PROFANITY and CHERISHED. She works as a bookseller and event coordinator at Book Passage, the esteemed independent bookstore in Northern California, and lives in Marin with her husband and three children. She is also a dear friend whose persistence in finishing this memoir and doing the courageous emotional work that it required has been an inspiration not just to me, but to all who know her. In lieu of the typical “Deb interview,” Melissa was kind enough to answer five questions I posed to her about her experience writing and publishing PIECES OF MY MOTHER. Thanks for joining us on the Ball, today, Melissa. Tell me, how did you come to write PIECES OF MY MOTHER? 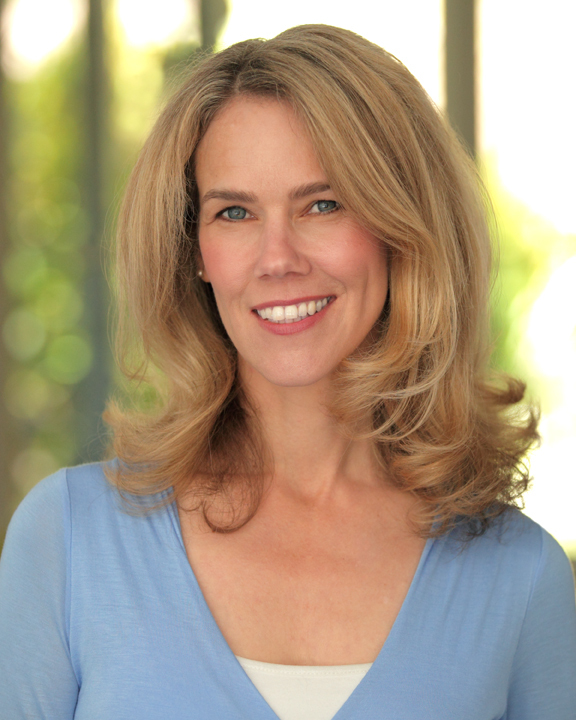 I first began writing and unraveling the stories of my childhood while taking classes at UCLA Extension. At the time I had two young children. I was fortunate in that I studied with some wonderful teachers who encouraged me to keep writing. If someone had told me back then that I would spend the next twelve years working on a book that would become my memoir, I might have said, “forget it.” For years I crafted my stories as fiction because I didn’t want to write a memoir and claim the story as my own. But as time went on, I realized I wasn’t very good at veering away from the truth as I knew it. I wanted to tell my story — but this took me awhile to admit. I come from a long line of women who wanted to be writers but never had the opportunity — because they died too young or didn’t have the confidence to believe that their voices mattered. During the process of writing this book, I thought a lot about my grandmother Joan’s journals which sat inside my desk drawer like heavy lumps of clay longing to be formed. She was a brilliant writer who wanted to share her creative talents but didn’t live long enough to do so. And I thought about my mother who left behind her folder of “letters never sent” and often confessed that she wanted to be a novelist. I couldn’t stand the thought of growing old and saying I wish, I wish, I wish — I had written that book. This fear gnawed at me and also motivated me. Who was I if I could not articulate what I most needed to say? And could I make one small change in the pattern of my family history? Your memoir is structured in a way that allows your themes to really resonate through chapters that alternate between your childhood memories and the “present,” when you visit your mother as she’s dying. Why did you choose that structure? This structure came to me late in the process (about two years after my mother died). I had already spent a great deal of time writing the stories of growing up. But the last six days I spent with my mother were some of the most difficult and painful days of all. I needed to write about those final days and come to terms with the complexity of watching her leave again – this time forever. It was also during this time that I discovered her folder of ‘letters never sent.’ I love having my mom’s words and letters in the narrative because I think (and hope) that it provides the reader with an authentic portrayal of my mom’s voice. And I love the thought that she is now, finally published! The alternating chapters ultimately felt like the most organic way to tell the story. When you sold your book, you worked closely with an editor at your publisher, as all writers do who publish through traditional means. Was it difficult to have someone suggest revisions to such a personal work? Do you think it was easier or harder than if you had written a work of fiction? I was very open to an editor’s suggestions and yet it was an extremely challenging part of the process for me. I kept saying to myself, “What the hell was I thinking writing a memoir?” There were many chapters and passages ultimately edited out but I can see now that these deletions helped move the story along and kept it from being too cluttered with back story. I still have a very large file on my desktop titled “things cut from the final draft.” I may end up using some of that material in the future. I think that a fictional story might lend itself much better to editorial changes – because when the story is drawn from your own life, you can’t make alterations that aren’t truthful. You can’t add plot changes or bring new characters to life. I’m looking forward to diving into fiction next – though I know that comes with its own set of challenges. Our theme this week is distractions, and how we deal with them. What were the biggest distractions you faced as you wrote your memoir, and how did you push past them? Distraction is an easy rabbit hole to fall down and a easy ‘go-to’ word for not writing. Our busy complicated lives never go away – unless we are granted a writing residency in a faraway castle in Scotland (which I never was). David Sedaris says, “You make time for what is important to you – and writing is important to me.” This seems so simple but I find it true. I never really gave up on writing this story over the course of 12 years but there were certainly many distractions along the way. Like raising three children and starting my own business and moving from Los Angeles to Boston and back to Los Angeles and then to San Francisco. Sure, I would have loved having more undistracted writing time. In some ways, motherhood sharpened my focus and made me work harder. I wrote mostly in the hours after dropping my kids off at school. But when the third baby came along, I got even more determined to not give up on my dreams. I brought my whole family to the Tin House Writer’s Workshop in Portland when my son was seven months old. Every four hours I needed to relieve my swollen breasts and nurse the baby. I was definitely the only attendee who was nursing a baby between lectures and readings. On the last night of the workshop, I crept across the grand expanse of lawn at Reed College to join the other writers and faculty for the final gathering. I was longing for some social time with this wonderful group of writers and my imagination was spinning with the possibility of profound conversations about craft and writing and perseverance. Minutes after joining the party, I looked across the lawn to see my ten-year-old daughter running across the campus lawn toward me with my half-dressed diapered baby crying in her arms. “Mommy, he needs you!” she shouted. It was true, they all needed me, and would continue to for years to come. I never made it back to the party that night. But somewhere in the landfall of the storm, I kept writing and I realized I could be both – a mother and a writer. The distractions come and go, but we cannot give up on the deep desires that burn inside of us. Thank you again for joining us, Melissa. Can you tease us with a hint or two about your next project? I am working on a novel that I am obsessed with at the moment. Not surprisingly, it revolves around three generations of women – and a pivotal incident that changes their lives. Connect with Melissa on her website or on twitter at @melissacistaro. GIVEAWAY: Comment on this post by noon (EST) on Friday, November 13th, to win a copy of PIECES OF MY MOTHER (U.S. only). Follow The Debutante Ball on Facebook andTwitter for extra entries—just mention that you did so in your comments. We’ll choose and contact the winner on Friday. Good luck! Ann, thank you so much for reading and commenting! As a fiction writer, I must admit memoir seems like a completely alien animal. But I can appreciate a great one, and Melissa’s is really wonderful. If you’re looking to read a personal story that’s about….well, about life, I hope you’ll read hers. It’s a great example of how to build a powerful story from the most intimate of personal experiences. Good luck on yours. I think the lesson here is to stick with it, which is something all us writers must learn how to do no matter the genre! Go forth Ann, and tell the story you need to tell. Thank you for the wonderful interview, Heather and Melissa. I am in the final phase of writing a memoir for my MFA program. (I graduate in July–YIKES!) Although my story is different, my memoir also revolves around my mother, specifically losing her when I was 16. I particularly enjoyed the question and Melissa’s response to how she ultimately structured her memoir and how long it took her to get there. That’s the stage I’m currently at in my writing. I’ve spent a good four years or more experimenting, none of which I regret. I just hope that when I finally wrangle it all together I can pull something unique and interesting off! Kathy, congratulations on your near-completion of both your memoir and your MFA program. I think, from the small sample size I’ve encountered, that writing memoir often takes much longer than writing fiction. The memoirists I’ve known spent a decade or more on theirs, while I count myself a slow novelist at six years. I can’t imagine the heavy emotional lifting that must be done to put those memories on the page. Good luck to you, and thanks so much for reading and commenting. Thank you, Heather, for this insightful interview. Melissa, I love the title you chose for your memoir. I write short stories, but I find that almost every single one (not be design, but as if by something inside of me) ends up being in one way or another about mother-daughter relationships. I hope to be able to read about your real-life relationship and about you and your mother. I wish you the best for your next project.